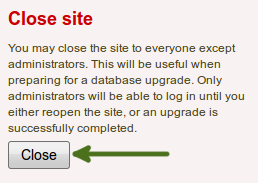 If a core Mahara plugin requires an upgrade, you will see a notice about it and only need to click the button Run the upgrade. 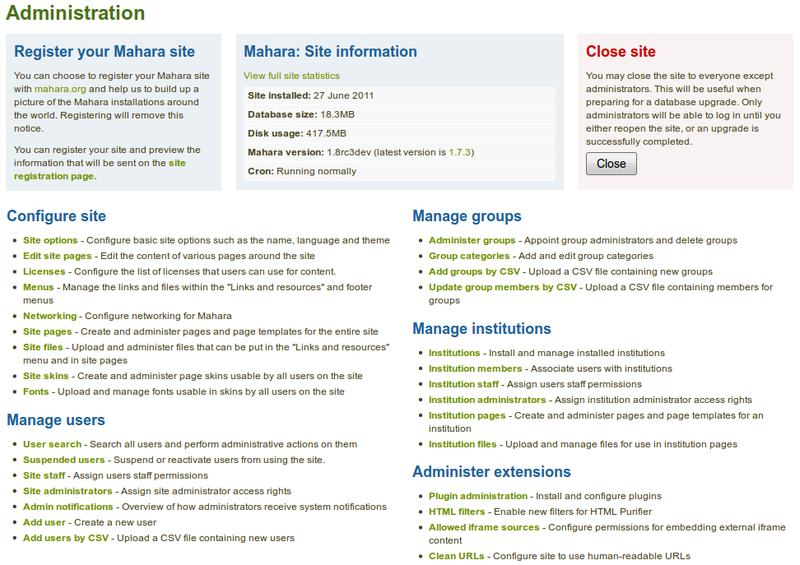 As site administrator you can choose to register your Mahara site with mahara.org and help us compile a list of the Mahara installations around the world and get a picture by how many people Mahara is used. Currently, this list is not published and made available to anyone. When you are on the administration overview page, you will see a link directly to the registration page. Data that will be sent: Click this link to preview the data that will be sent from your site. 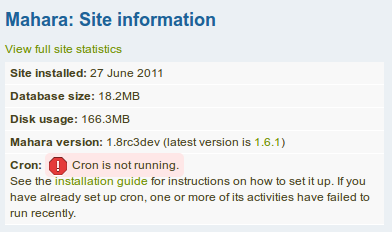 Send weekly updates: Enable this checkbox if you wish so send regular updates about your site to the project. 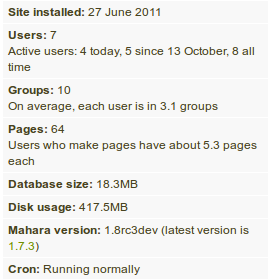 These updates are based on changes in your site and include only anonymous updates. 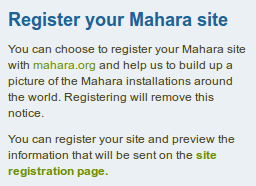 Click the Register button to finish your registration with the Mahara project. 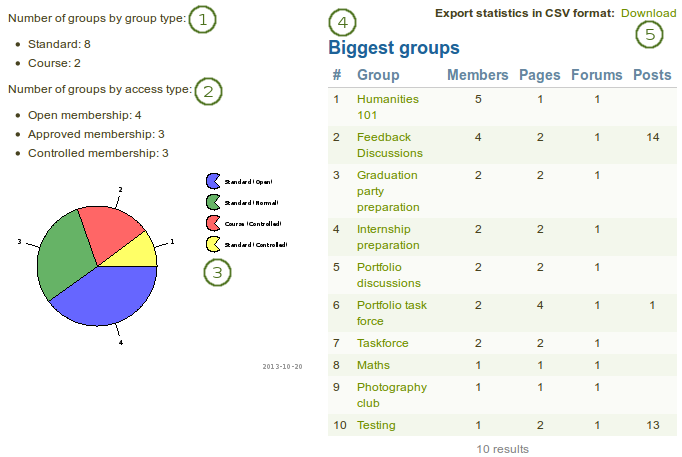 Export statistics in CSV format: Download the cumulative statistics about the groups as CSV file. 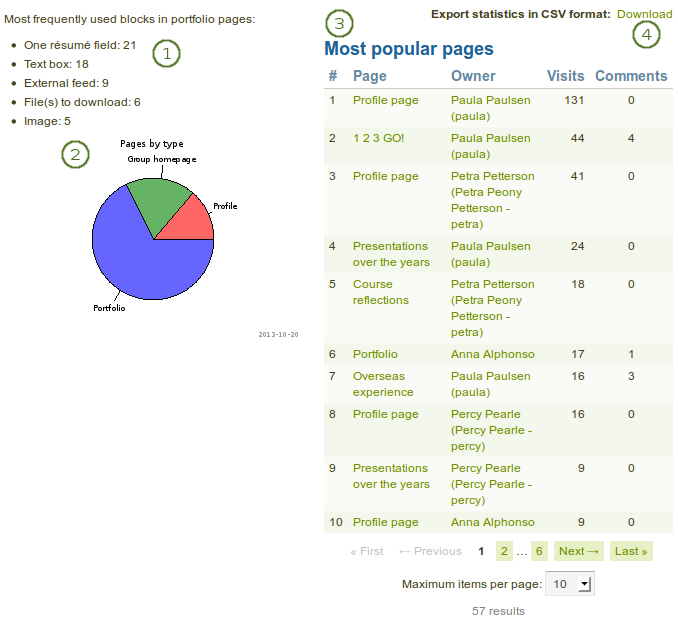 The most frequently used blocks in portfolio pages. 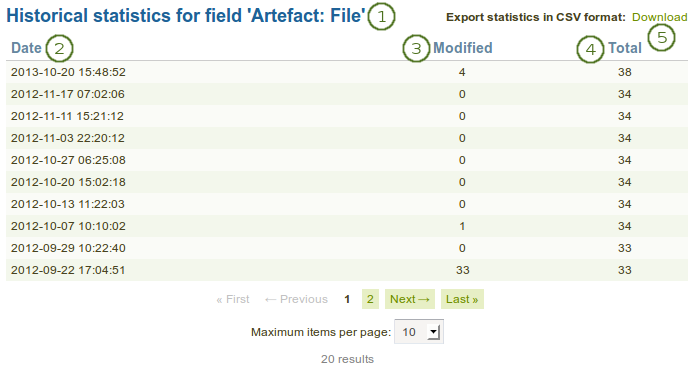 The number of total content statistics will vary because only when an artefact etc. was used will the statistics be created for that type. 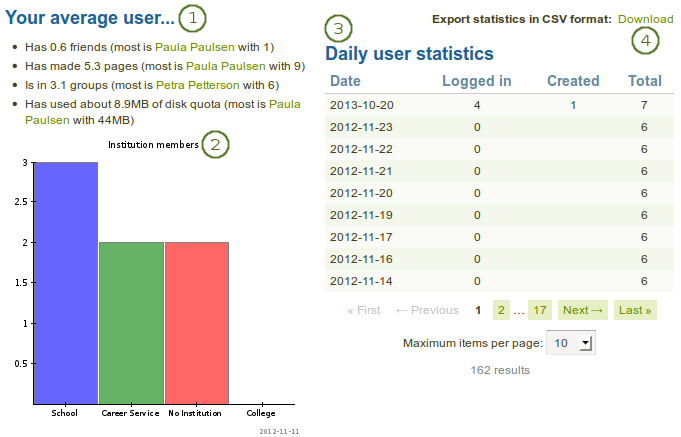 You can sort each column in the table by clicking on its heading and also download the statistics as CSV file.